Although the exact details of forthcoming conservatory legislation are still to be published, preparing for how these impending changes may affect the industry is clearly a good idea. At Glassex this year market leader Ultraframe, announced a number of enhancements to its Guild Approved Ultra Installer Scheme. The most significant of these was a partnership with the BBA in order to equip members of the scheme with the support, resources and knowledge to confidently face proposed regulations head on. As and when Building Regulations do apply to conservatories, they are likely to require that installers ‘prove’ a design’s structural integrity meets the new criteria. This proof may be provided by an underwritten document from a qualified structural engineer, but it is more likely to be from third party accreditation such as the BBA. Ultraframe was the first conservatory company to gain BBA approval for its products and now all Ultraframe roofing systems have the backing of the BBA. This was also extended to include BBA approval for a group of Ultraframe fabricators and most recently Ultraframe enhanced its BBA partnership with BBA support of the Ultra Installer Scheme. All applicants to the scheme will now undergo inspections from the BBA to ensure the highest quality of workmanship and give members a head start in advance of the expected regulations. Linda Doughty, Marketing Director at Ultraframe said: “Last year the Guild Approved Ultra Installer Scheme achieved GGF affiliation and now we have built on our long standing relationship with the BBA in the same way. This is great news for our scheme members: not only will they continue to profit from huge business benefits and discounts, they will also be in a great position to meet the standards required by the expected changes to building regulations. The enhancements to the Guild Approved Ultra Installer Scheme are further evidence of Ultraframe’s drive to offer a unique value proposition of products and services to all our customer groups." As an independent organisation the BBA will audit each applicant’s general office procedures and perform on site installation checks. For the purpose of the audit the conservatory buying process will be broken down into six key stages; enquiry handling, sales processing, surveying, manufacturing/buying, installation (includes recently completed and partially completed installations) and after sales service. This ensures consumers will receive a high standard at all stages of the buying process. The BBA affiliation also means that the Guild Approved Ultra Installer Scheme is the most trusted in the industry and gives its members further credibility with homeowners. 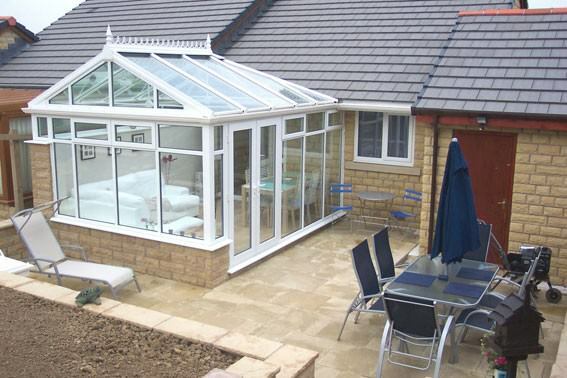 Even with fitter friendly roofs, the continued development of conservatory design and installation skills is critical, particularly if new regulations are introduced. Ultra Installers are also required to complete regular training at Ultraframe’s School of Excellence. Linda Doughty said: "We recognise that regular technical training is vital to keep fabricators and installers one step ahead of their competitors. At Ultraframe we continue to drive the market through innovation and, as part of our total package of quality products and outstanding customer service and support, we offer our partners regular training and development to ensure their ongoing success." The long established School of Excellence trains well in excess of 1,000 companies per year in topics as diverse as surveying, installing, fabricating and sales, and keeps them up to date with the latest building regulations and legal requirements. Ultraframe’s involvement on all the bodies that will influence and impact on the industry means that Ultra Installers are in the best possible position to understand the likely requirements of expected regulations and their impact on the industry. Chris Richardson, Ultraframe’s Group Technical Director, is a member of the Conservatory Association’s Technical Committee and represents Ultraframe on committees, chaired by Ian Chisholm, Deputy Chief Executive on the Glass and Glazing Federation (GGF), which feed into the Government sponsored Building Regulation Advisory Council (BRAC). Mark Hanson, Marketing Manager and Ultra Installer Scheme Manager at Ultraframe, is also Chairman of the Conservatory Association. This clearly illustrates Ultraframe’s commitment to improve industry standards. With continued investment in the research and development of its products and services, Ultraframe is confident it can meet the future needs of its installers and fabricators and keep them at the forefront of the market.